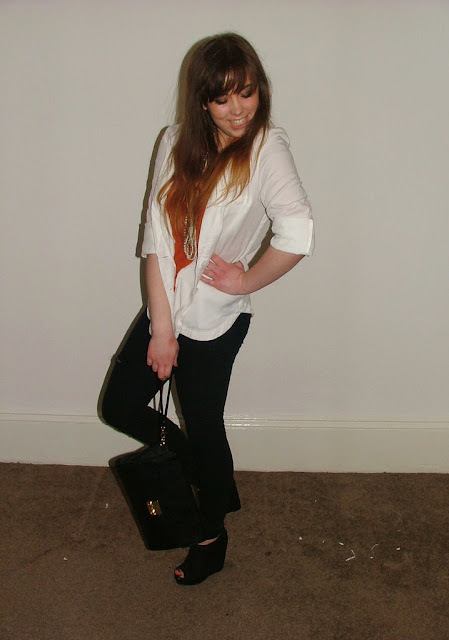 I love this shirts colour and thought it brightened up the outfit a bit from just black & white. This clutch is the perfect size to hold everything, even held my scarf last night and has a wristband so easy to carry (esp after 1 to many drinks) The Urban Outfitters necklace is really cute and is a pocket watch which flips open and has a really authentic design on the back, its one of my favourite necklaces! Ohhh my Papa Johns pizzas arrived with my 2 litre bottle of Irn Bru, perfect cure. Thank you for your comment! (: I adore your entire outfit here on this post. It seems like you had a lot of fun that night, haha! Hi Ruth! I am loving this outfit! Black and white with a pop of orange <33 I've followed you too btw. Hey, the orange top looks great against the white and black in your outfit. 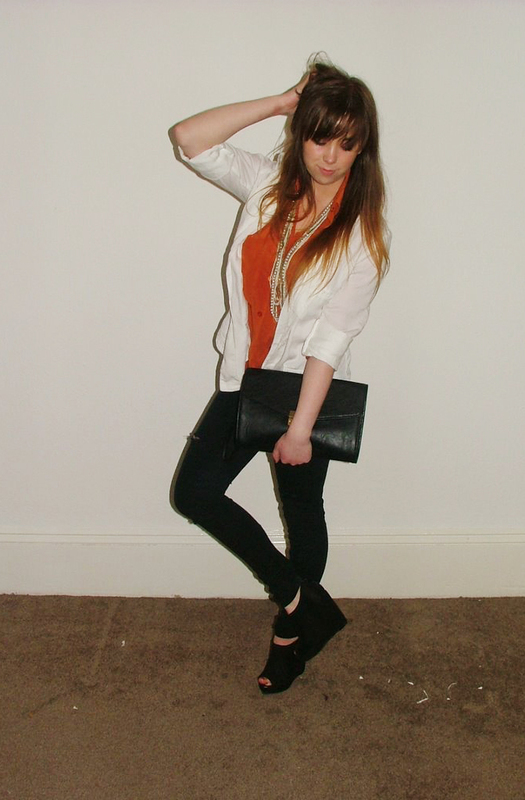 Really great outfit for casual clubbing! 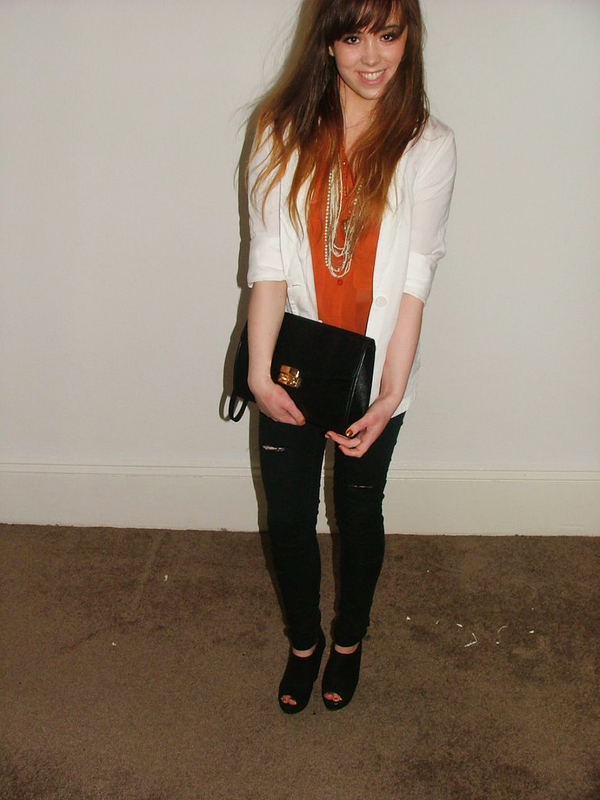 I love that orange top with the necklaces, it adds something special to the black and white outfit! Really nice outfit, you're so pretty.